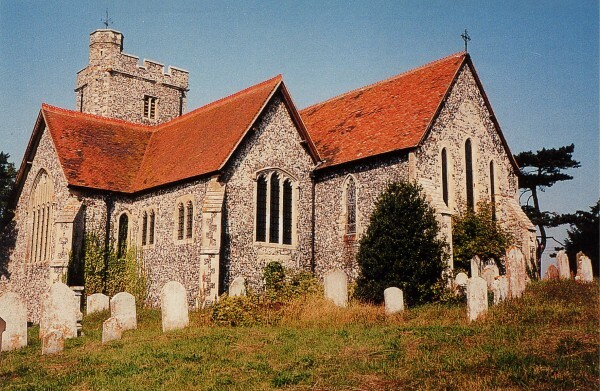 The parish of Boughton, or Boughton-under-Blean to give it its proper name, is about three miles east of Faversham, next to Blean Woods. Boughton and Dunkirk Community Magazine keeps you in touch with all the latest news and events in Boughton and Dunkirk.There are 10 issues of the magazine each year at a cost of 60 pence per issue. (£6 per year plus p&p). We are also able to send issues on line using the PDF format. We accept business advertisements, subject to space being available. The magazine circulation is approximately 500 per month and current advertisers report a good response. Boughton (originally 'Bocton') means 'land held by book, or charter', so not surprisingly the place-name is a common one. There are 13 Boughtons in England, and four in Kent alone. 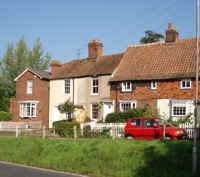 So Boughton-under-Blean is so-called to distinguish it from its three Kentish namesakes - Boughton Aluph (near Ashford), Boughton Malherbe (near Lenham), and Boughton Monchelsea (near Maidstone). The Blean is the ancient forest that overlooks the parish on the east. Boughton is pronounced 'bought-on', unlike at least one of its namesakes, in Northamptonshire, which is pronounced 'bough-ton'. 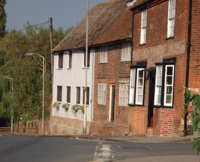 As is common in Kent the parish's main street takes its name from the parish, so is known as Boughton Street. It forms part of the old Roman road ('Watling Street') from London to Canterbury and Dover, in the 20th century known as the A2. Through motor traffic has now been diverted to a new dual carriageway south of the Street. "What a street!" wrote Arthur Mee in the book Kent in his King's England series. "It lies between grassy banks, with trees and old cottages everywhere". Indeed it boasts scores of historic buildings, and is a conservation area. It's not hard to visualise the scene when tens of thousands of pilgrims passed this way on their way to Becket's shrine at Canterbury. The other main settlements in the parish are at Hickmans Green and Horselees (both partly in Dunkirk parish), Oversland, and South Street (with North Lane). At South Street, another designated conservation area, are some very fine medieval timber-framed buildings. 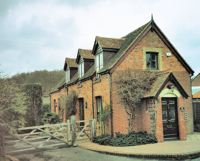 There are more than 100 listed buildings in the parish as a whole. In a lovely setting overlooking fine countryside, the village's fine medieval church of St Peter and St Paul lies about a mile south of Boughton Street. Its greatest treasure is the fine monument, by Ephanius Evesham, to Sir Thomas Hawkins, who died in 1612. As well as featuring Sir Thomas himself, this also includes sculptures of his six sons, three of whom have entries in the Oxford Dictionary of National Biography. One was a Jesuit priest who (cheekily in the Protestant era, when his presence in England was illegal) is depicted raising his hand in blessing. For more information about Boughton and the area, please refer to the relative Faversham Paper.